There are few car brands as in touch with its heritage as McLaren is. The legendary McLaren F1 turned 25-years-old this year, and the company is still providing parts and services for it to this day. That stellar customer care is finally coming to North America, as McLaren has just announced the opening of the first F1 service center in the United States. McLaren Philadelphia in Philadelphia, Pennsylvania will run the new facility, although it's located far away from the showroom for privacy reasons. 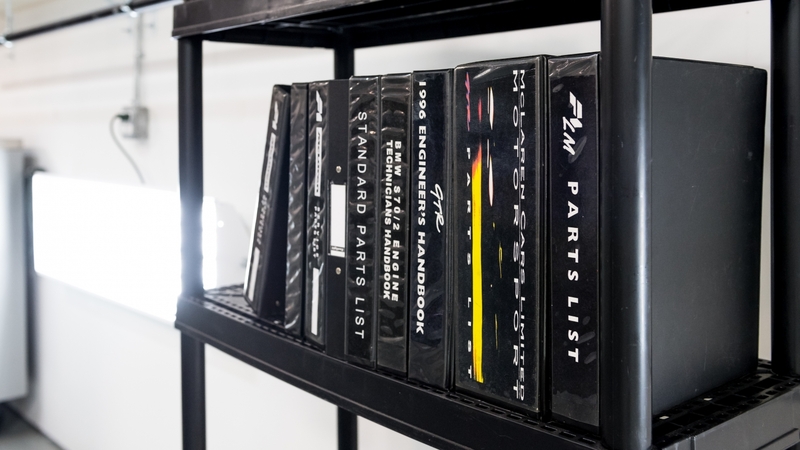 It features a full test track, an arsenal of F1-specific tools, and a warehouse full of spare parts. Despite the supercar company's heavy presence in the United States, no McLaren showroom is qualified to service the cars. "The key to servicing and maintaining a McLaren F1 correctly is allowing adequate time for the technician to meticulously check every nut and bolt—servicing an F1 is not a quick process,” explained Tony Joseph, president of McLaren North America. The cars must be thoroughly inspected during their annual maintenance and then thrashed on a track, and good luck finding replacement parts. The Pennsylvania center's crew are all trained McLaren Special Operations technicians and are able to perform everything from routine services to extensive restorations and repairs. The service center is designed to mirror the same facility in Woking, Surrey, England at the company's headquarters, and McLaren says the Philadelphia location will make it so customers won't have to ship their F1s to England for repairs. Roughly 20 McLaren F1s (out of 106 built) reside in the United States, and right now this is the only place ludicrously-rich Americans can take them for repairs. However, McLaren says it also has plans to open a service center on the West Coast in the near future. At 7,500 square-feet, the new facility will house a bevy of genuine McLaren and MSO parts, merchandise, and accessories.